Follow the Little Magician as he tries to become happy. Surely, he thinks, if he could just use a bigger wand he would be happy! But the Little Magician discovers the true source of happiness somewhere else. A delightful, colorful story with lessons about faith, peace and true happiness for both children and adults. Full color illustrations on each page. 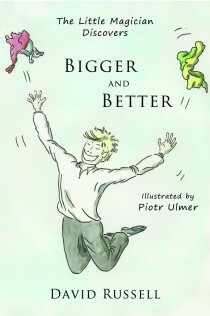 Discover the source of happiness and peace with the Little Magician.